the dwarfs stood still, and Hok Lee felt as if his heart stood still also. and the dwarf who had first spoken and who appeared to be the leader said: "Now, then, who art thou and what brings thee here?" 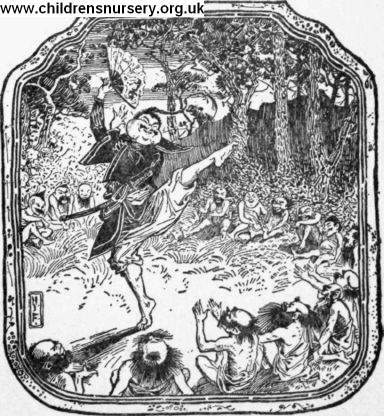 So Hok Lee told him the sad story of his swelled cheek, and how he had been advised to come to the forest and beg the dwarfs to cure him.